One of the ways we avoid spending a lot of money on boxed cereals or other pre-prepared breakfast foods is by making waffles on the weekend. 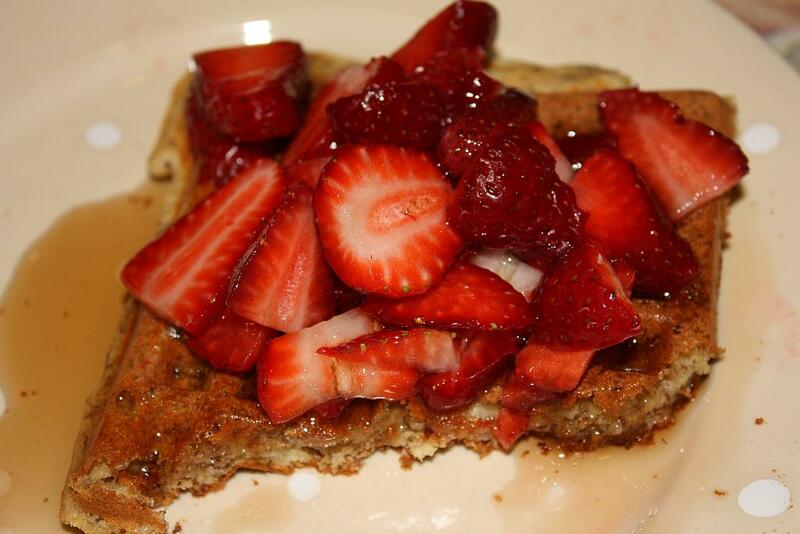 Nothing like some wonderful hot waffles topped with fresh fruit to get your day going! 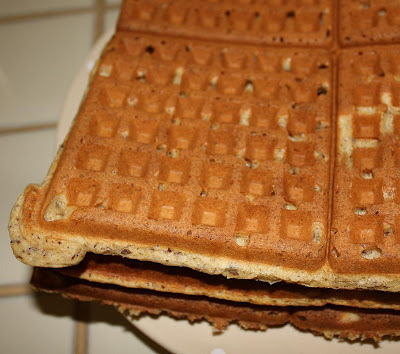 So one weekend morning, I make a double batch of our favorite multigrain waffles. I modify this recipe slightly by substituting corn meal for the wheat germ. 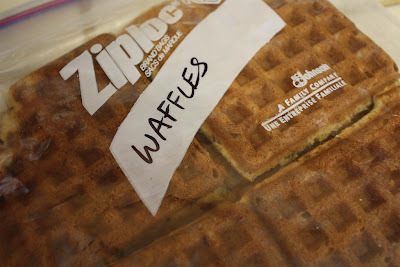 My family eats them as they come out of the waffle iron when they are at their best. Here' a picture of my younger son's plate, including strawberries from our yard! Can you tell he loves strawberries? Here's the stack at the end of cooking. Plenty for the week! I'm not too concerned about keeping them all warm and crisp, since they'll go into the freezer for toasting later, so keeping them stacked like this is ok. If you're planning on eating them, keep them single layer in a warm oven to keep them nice and crisp. When all the waffles have cooled, I'm ready to package them up for the week. Normally, anything going into our freezer gets a label AND a date. These get no date - they'll be gone by the end of the week! Now we're ready for the week!